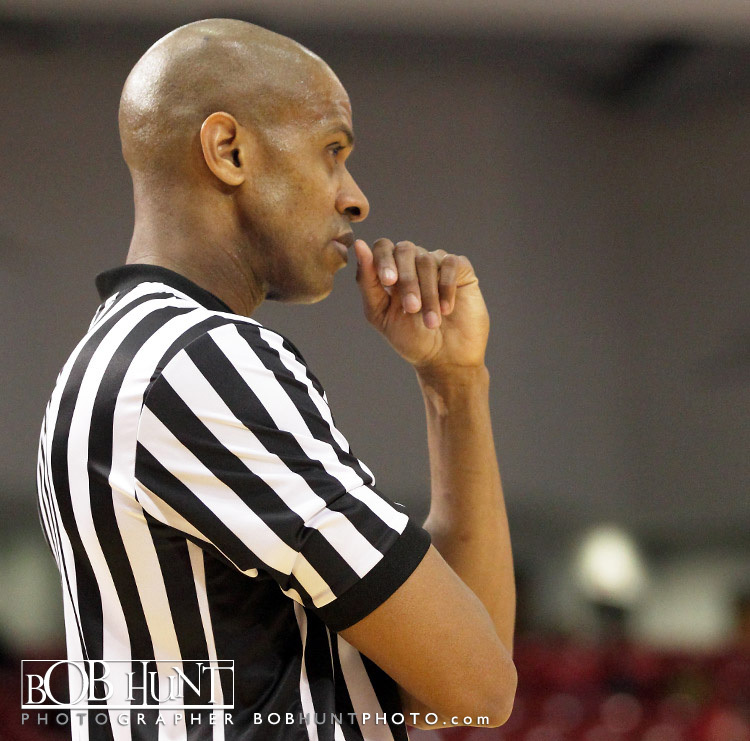 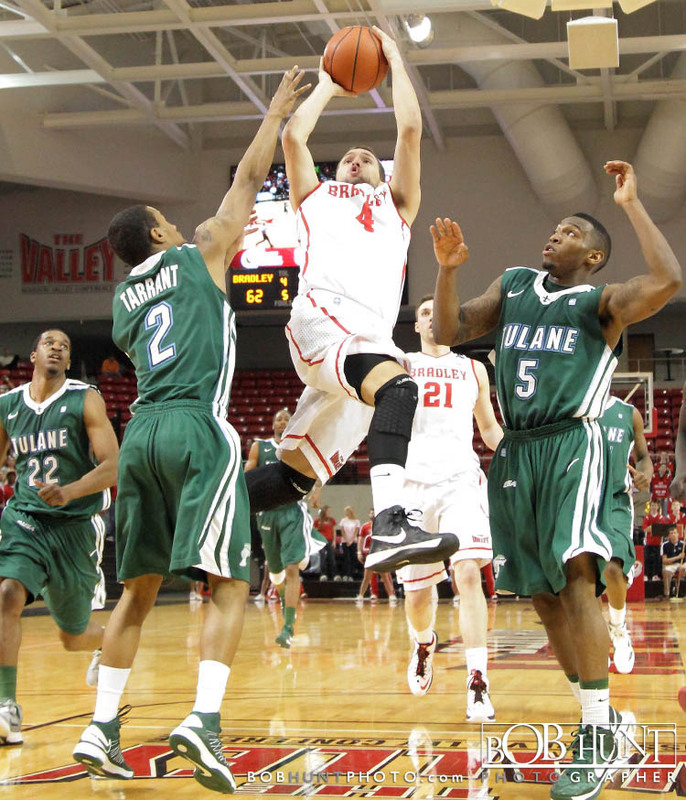 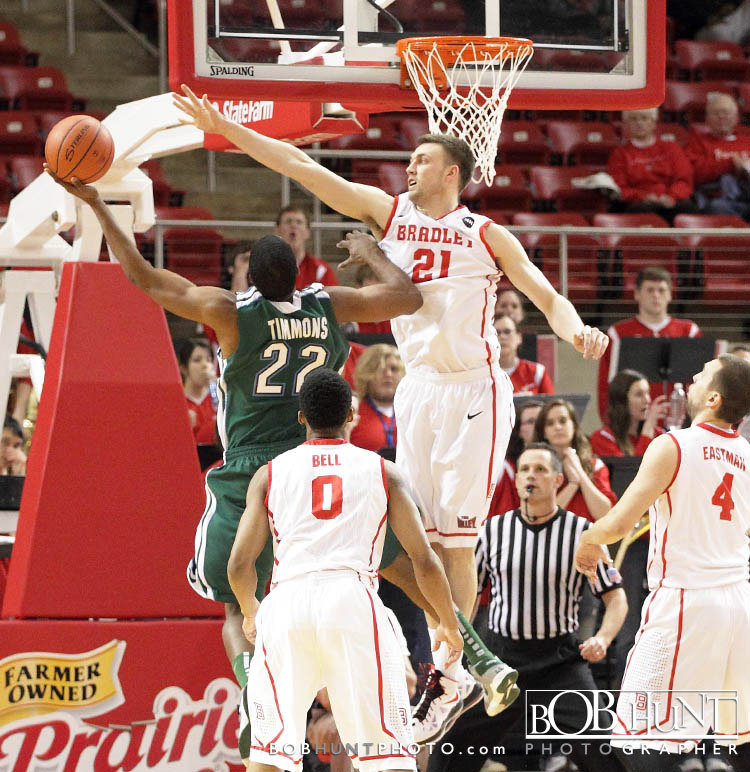 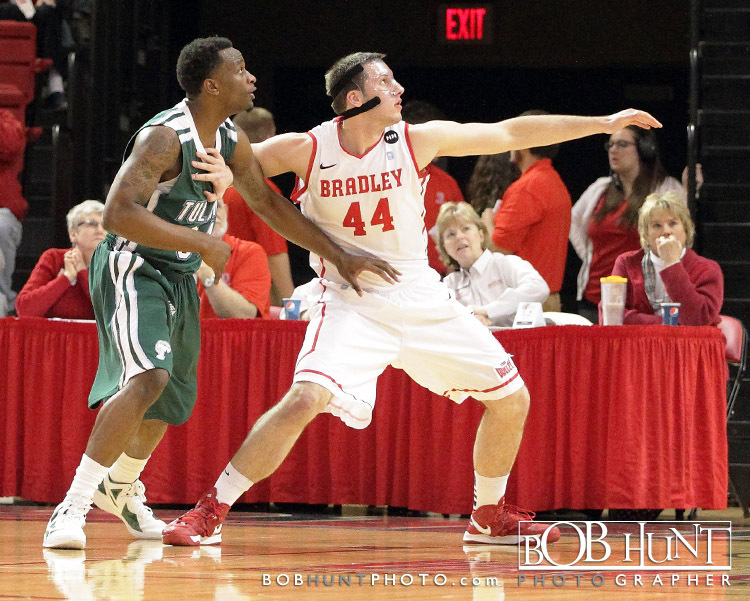 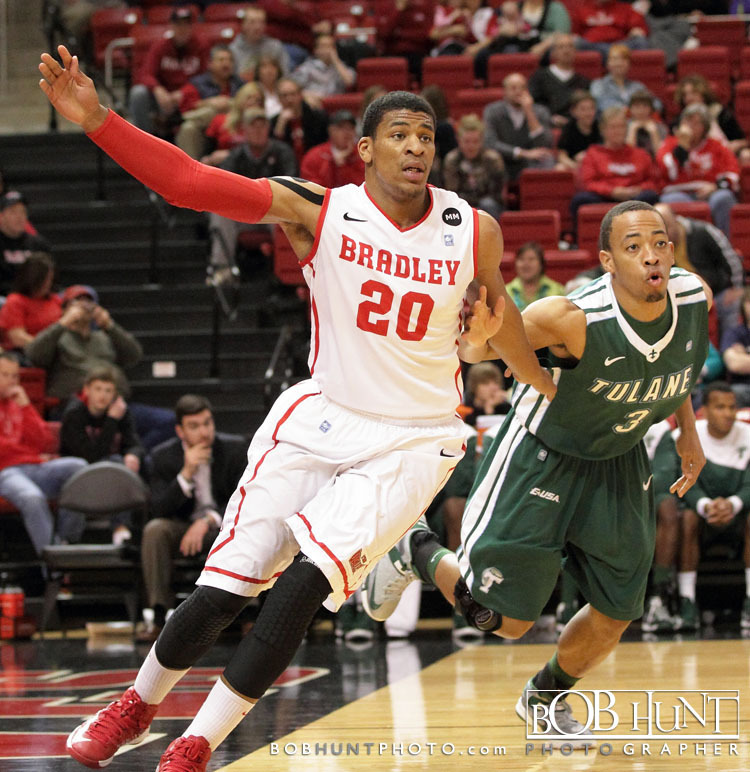 Bradley University center Will Egolf apparently does not want his sixth season to end. 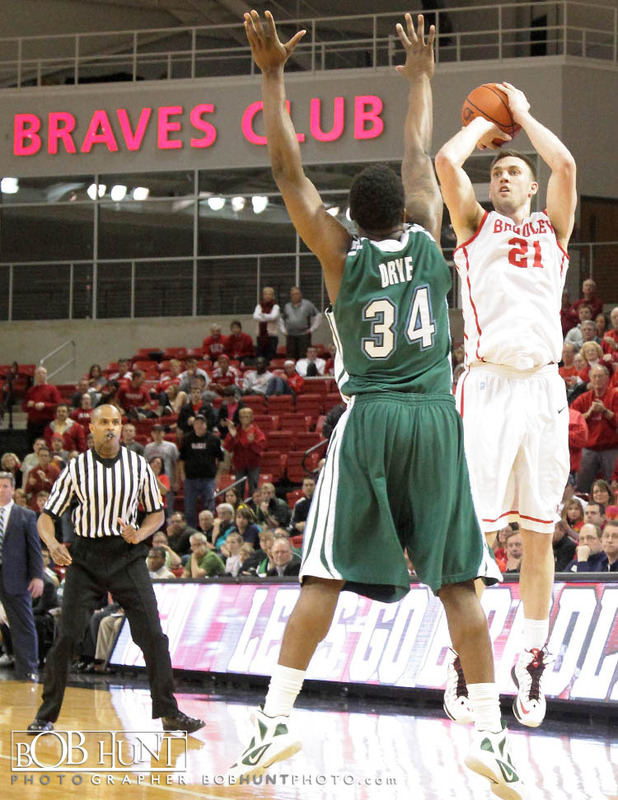 After scoring a career-best 22 points in the opening-game of the CollegeInsider.com Postseason Tournament, Egolf turned in a double-double with 20 points and 12 rebounds Saturday night and buried a go-ahead 3-pointer with 1:01 remainining, lifting the Braves (18-16) to a 77-72 win against Tulane University (20-15) in the second round of the CIT at Renaissance Coliseum. 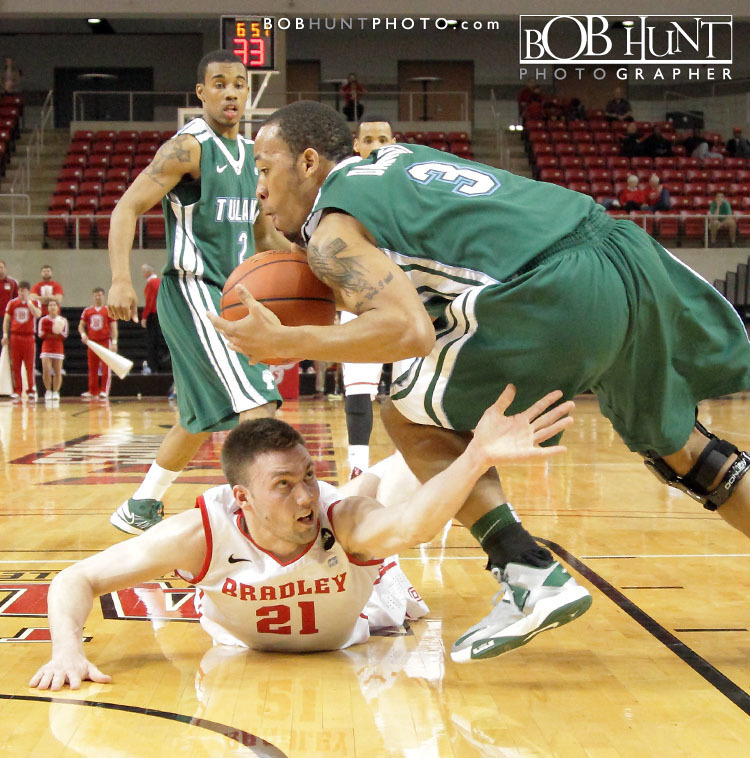 Egolf started an 11-0 Bradley run to flip that 6-point deficit by scoring in the paint with 10:18 left. 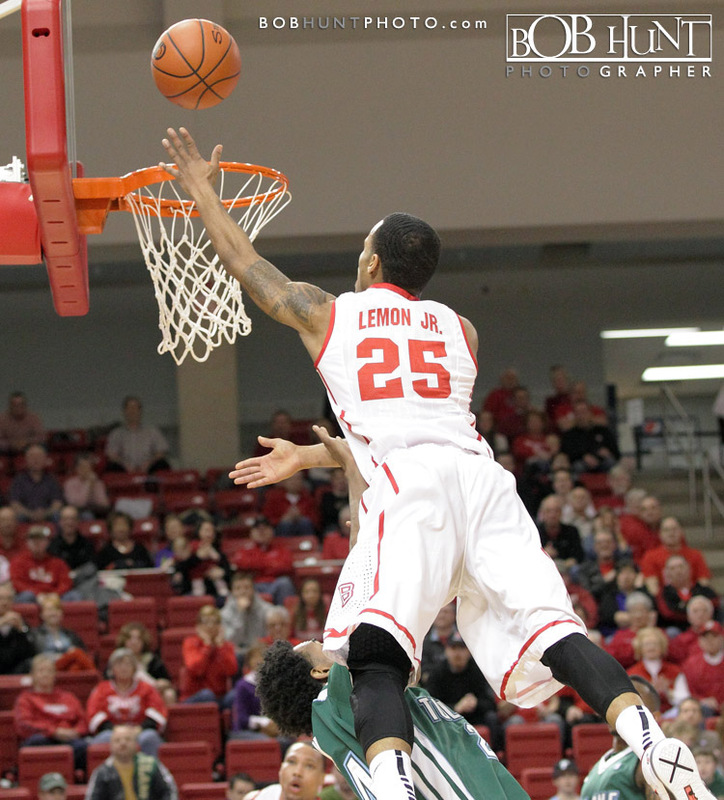 He added another interior bucket for a 62-62 tie and Walt Lemon Jr. ultimately capped the run with a pull-up jumper with 6:02 left for a 67-62 lead. 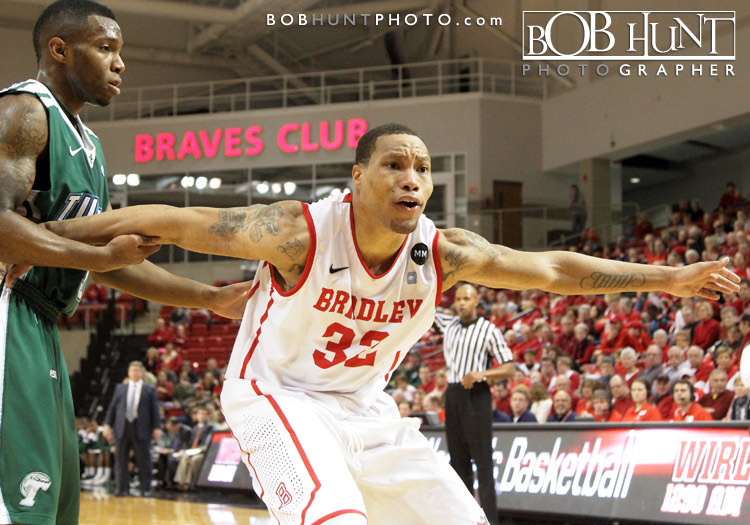 In addition to Egolf’s first double-double since his redshirt sophomore season in 2009-10, the Braves got 17 points from Pickett, 13 points from senior guard Dyricus Simms-Edwards and 12 points from Lemon. 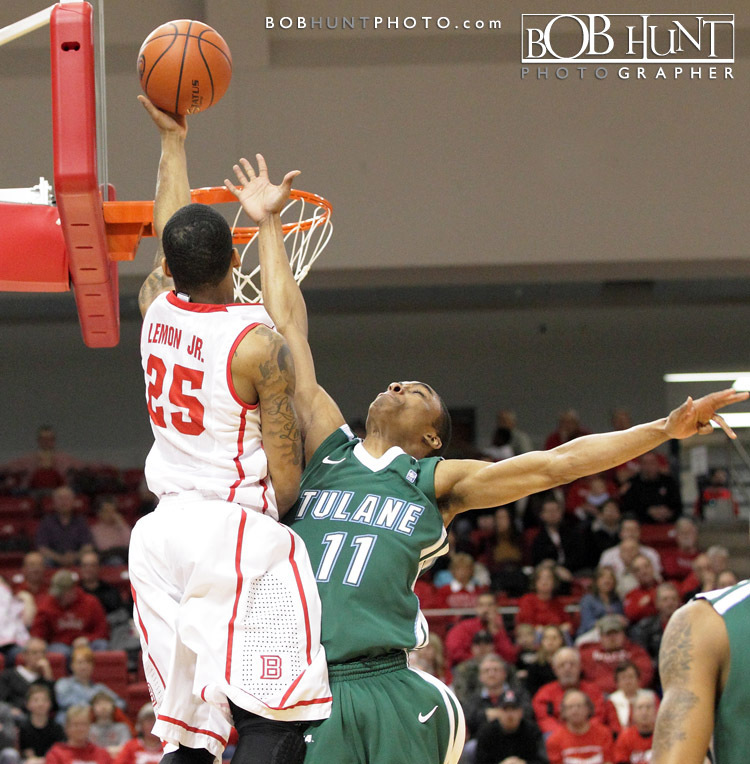 Senior forward Kendall Timmons scored a game-high 29 points and reserve Louis Dabney was Tulane’s only other double-digit scorer with 11 points. 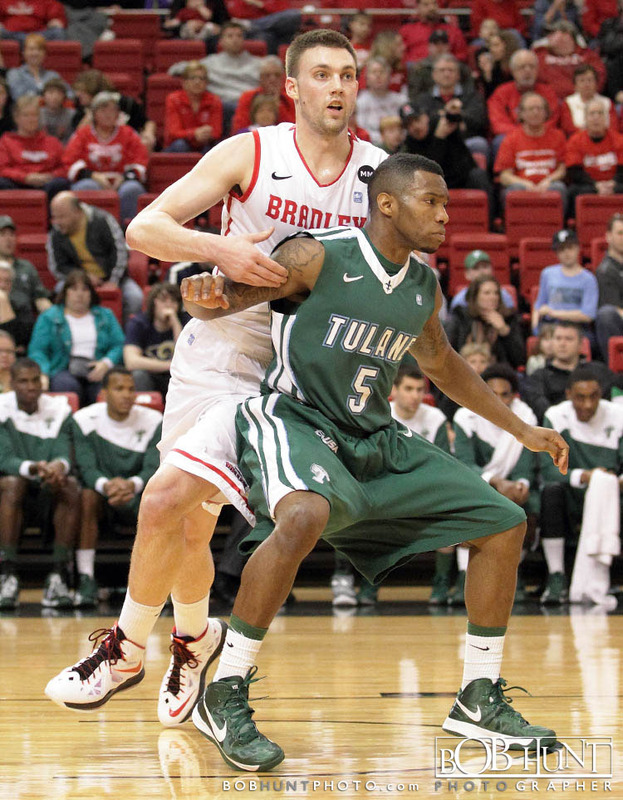 Junior center Josh Davis ripped down a game-high 17 rebounds for the Green Wave. 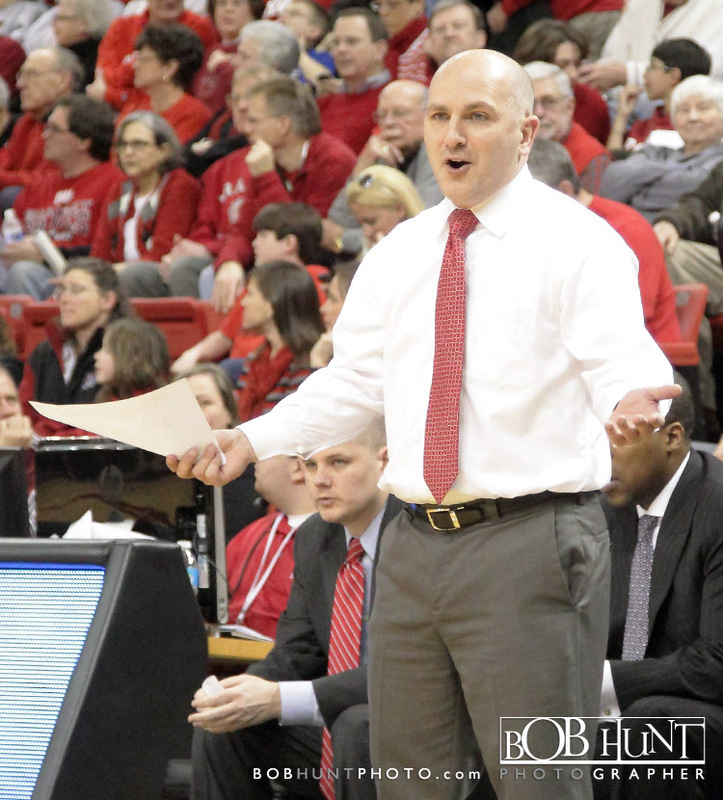 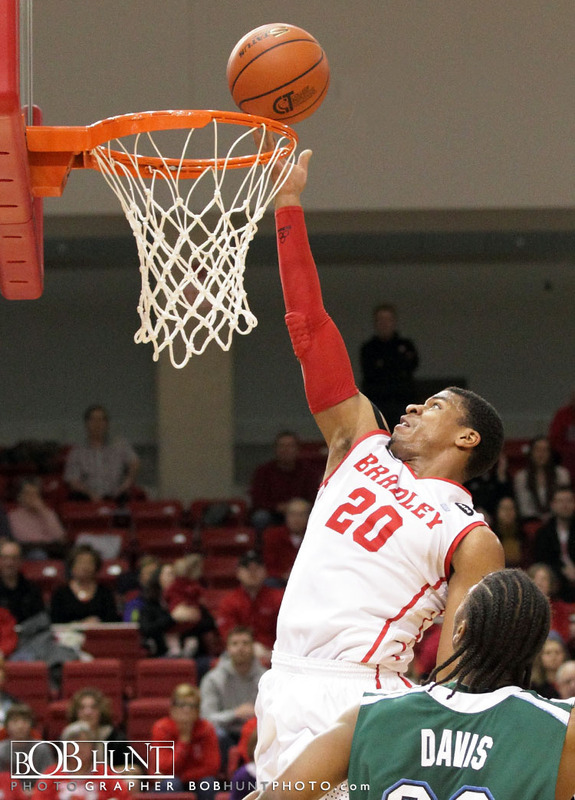 Bradley will visit Missouri Valley Conference rival Northern Iowa for a third-round game in the CIT Tuesday night, 7 p.m., at the McLeod Center.